Little, Brown Books for Young Readers, 9780316277280, 40pp. Meet Rory, the dinosaur. He loves spending time with his dad, but today he wants to go on his own adventure and explore his island home. He can't wait to tell his dad all about the things he can do all by himself, from crossing rivers to finding shelter from the rain. Little does Rory know, his father is never far behind. There's nothing Rory's dad won't do for his intrepid son--he'll even let him think he's made the journey all by himself. 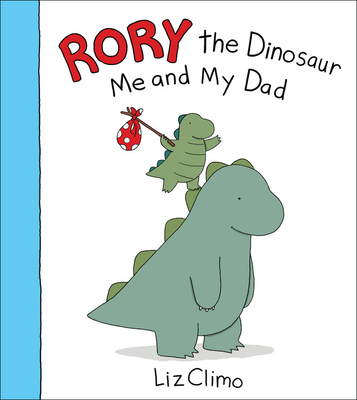 Comic artist Liz Climo celebrates the bond between father and child with her adorable, deceptively simple illustrations and her timeless story of a child's quest for independence. LLiz Climo grew up in the San Francisco Bay Area and moved to Los Angeles after college to work as a character artist on The Simpsons. She started a comic blog, LizClimo.tumblr.com, and is the author and illustrator of the Rory the Dinosaur series, The Little World of Liz Climo and Lobster is the Best Medicine. Liz currently lives in Los Angeles with her husband, and their daughter.